Main » 2010 » May » 1 » Burnin' Red Ivanhoe - 1971 - W.W.W. 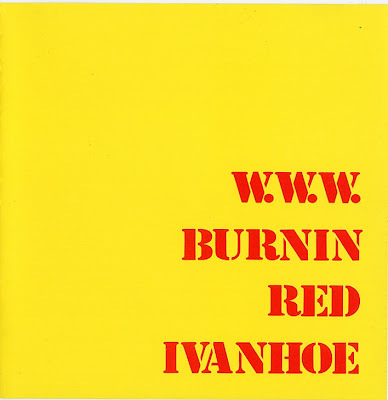 Burnin' Red Ivanhoe - 1971 - W.W.W. Formed as M/S Mitte - The Burnin Red Ivanhoe in 1967 by Karsten Vogel (sax, keyboards) and fellow companions from the Danish (avant-garde) jazz milieu. The idea of fusing jazz with rock turned out quite successful, though it was rather unheard at the moment. Soon after the name was shortened to Burnin Red Ivanhoe, and from around 69/70 they made fame with their "classic" line-up consisting of Vogel, Kim Menzer (trombone, harmonica, flute etc. ), Ole Fick (guitar, vocals), Jess Staehr (bass) and Bo Thrige Andersen (drums). In early 72 the group split, on the peak of their carreer, but reformed in 73 (at one time including all members of Vogel's new project, Secret Oyster). During the late 70s the "classic" line-up occasionally reformed for domestic gigs - until an official reunion in 79, which led to the album Shorts in 80. In 81 an altered version of the group (including UK guitarist Gary Boyle a. o.) toured a few countries, before it folded. In 91 the group reunited (the classic core: Vogel, Menzer and Fick) and a rhythm section of younger musicians (Thrige Andersen had died in 85). In 98 an album of new recordings, Lack of Light, was released - the first since 1980. The group still gig occasionally.